Carbon Steel Tee made by us are perfectly in accordance with the technical specifications provided by the client. 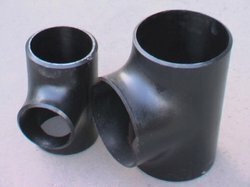 These tee are highly durable and are used to connect two or three pipes together. All these tee are light in weight and are made of high quality carbon steel.